While it can be hard to come across political documents that inspire, entertain and amuse, Ramor Ryan‘s Clandestines succeeds in doing just that. Some may know Ryan from his articles in “We Are Everywhere” and “Confronting Capitalism” but Clandestines is his first published book. It is, for the main part, a travel diary and a readable mixture of personal memoir and political essay written over his many years as an anarchist activist. The book covers his journeys to a broad gamut of societies in struggle, from Berlin to Northern Ireland, Nicaragua to Turkey and many places in between. 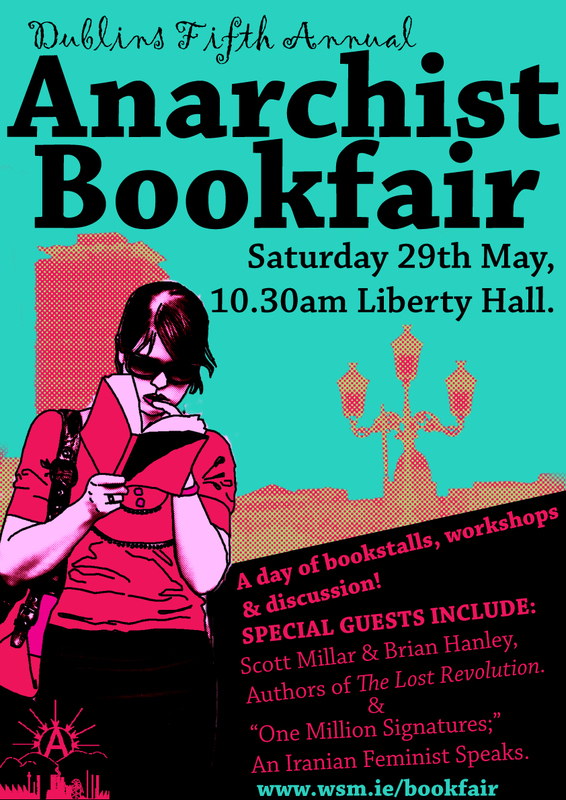 The book is full of true, fantastic and at times audacious tales seen through the eyes of an Irish anarchist who is experiencing an irreversibly changing world first hand. The world Ramor traverses sees the collapse of “communism” in Eastern Europe, a growing sense of revolution in South America and the birth of a modern anti-globalisation movement. While at all times political yet personal, Ramor frequently forays into his relationships with activists, friends and strangers he picks up along the way, each who provide the reader with their personal affections and experiences. What follows is something that reads like a modern hybrid of Behan’s Borstal Boy and the Canterbury Tales, with Ramor compiling the characters’ stories as he goes along, and using them to meaningful, insightful, and, at times, touching effect. While the book could have fallen into an unintelligible journal of wholly separated and abstract events, Ryan brings events and people together and finds a common theme, of the shaping of these characters from the historic and social pressures of a rapidly changing world. From the Kurdish guerrillas, to the Sandanistas, to the female bartender he meets in Cuba, Ramor documents people and communities coming to terms with a new, neo-liberal, world order. In Berlin, he experiences the life of a radical squatter and the regular running battles with local police associated with it. In Northern Ireland, he encounters the massacre of mourners at a republican funeral, and a community drawn together to cope with a violent and sectarian society. In Turkey, he finds the volunteers of the PKK in training, young men and women willing to give up their lives for their idea of a Marxist revolution, and a feeling that if the world wasn’t ready for revolution they, at least, were. In South America he watched the Sandanistas take power in Nicaragua, while the FMLN were on the brink of overthrowing the government in El Salvador and the radical movements in Guatemala and Honduras gained ground. Whether read as a travelogue, political document or collection of nostalgic memoirs, “Clandestines,” is a book that anyone with an interest in late 20th Century politics will understand, and enjoy.